Tyre review data from 19 tyre reviews averaging 89% over 140,940 miles driven. Positive - Premium tyres with excellent performance in the snow and wet. Negative - Average dry grip and dry braking. Positive - Well balanced performance, excellent aquaplaning result. Negative - Slightly weak dry handling, high rolling resistance. Positive - Especially good in the wet, good in the dry, best fuel consumption. Negative - Slightly weak on snow. 2019-01-08 - Are winter tyres worth fitting to a mx5 in the UK during the winter period? My local tyre centre recommended Goodyear EfficientGrip Performance as they couldn't source Goodyear UltraGrip Performance Gen 1. If you want to be safe and mobile in freezing, snow and ic conditions then yes. 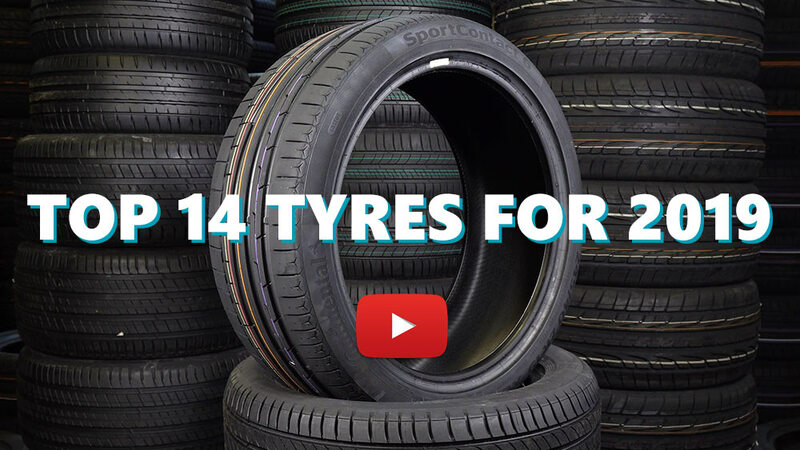 We've plenty of videos regarding winter tyres, check them out! Running 215 width tyres on 16" rims. Dry grip good but lacks a bit of feedback. Wet grip superb. Got my first go on snow with them this morning with 3 inches of wet snow on the ground and they shone. On slush it's like the slush isn't there. On snow there's a bit of wheelspin unless you are gentle with the clutch (mine is an auto so it's a bit tricky persuading the car to be gentle!). However it's the stopping power of these tyres on the snow I was very impressed with. Yes they slide (but not very much!) if you jam the brake pedal to the floor but braking normally with a bit of caution it's not far off driving on a snow free road. Going round corners and up hills the car felt planted to the road and any sideways wiggle was easily corrected. I've got a heavy diesel engine up front helping with traction too. They are very soft sidewalls and were a bit squishy at first but an extra 3 psi above normal and the handling was improved. They run quietly and and are very comfortable too. Would definitely recommend. Have you driven on the Goodyear UltraGrip Performance Gen 1 tyre? Please help millions of other drivers make an informed tyre choice and pick the correct tyres for their car by submitting your review of the UltraGrip Performance Gen 1. Love this winter tyre for the UK. Disappointed in its dry breaking as it let go a couple of times when I wouldn't of expected it too. I marked feedback low just because I have an Audi A5 and feedback is numb on anything. Tyre very noisy but I have never used other winter tyres. Snow & Ice handled excellently but then I'm using winter tyres on a AWD Audi when I'm used to all season tyres on a BMW. Very good winter ture, if you drive in different conditions. Easy to controll case good feedback for a winter tyre. Will definetly buy them again. Never felt so confident with a tyre as with these, I've been running winter tyres for nearly 10 years now and that's in cold wet and heavy snowed alpine roads. Slightly high rolling resistance, you can really feel it, but tyre that feels like it's sticking to the road is exactly what you want in a winter tyre no? Wear, well I've just put them back on for a 2nd winter season and it doesn't look like they've lost any tread yet, still feel like they did when I first put them on. Running these for 2 winter seasons and they are more comfortable than my factory fitted EfficientGrip run flats. I notice no increased fuel consumption and the few times I was on snow they felt fine. Interestingly I drove them in semi-hot environments and they behaved perfectly for a bit of spirited driving. In general I love them as the car does not really feel that much different during the winter season. In my opinion a good "sporty" winter tyre that takes care of all weather conditions.